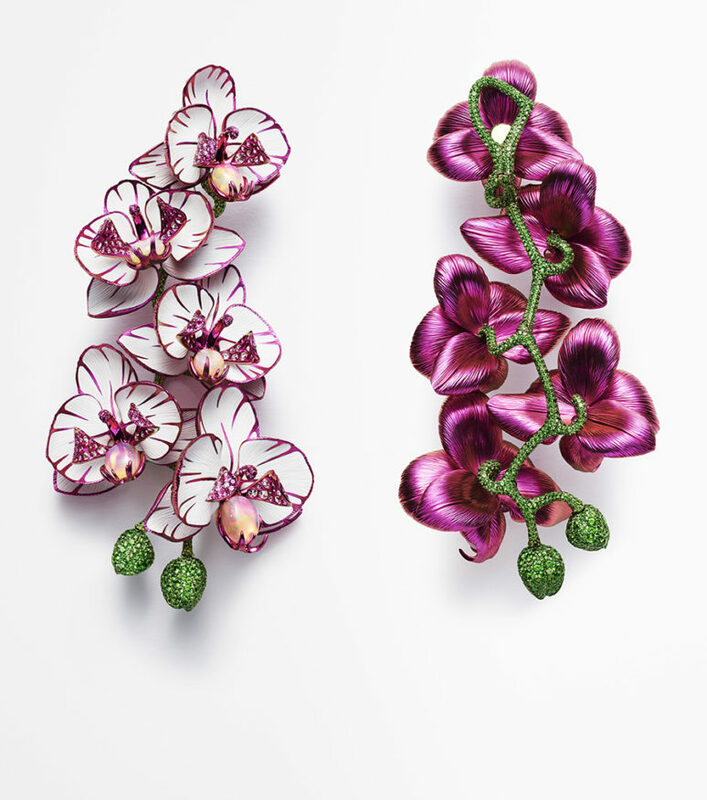 Chopard Haute Joaillerie ateliers have crafted two incredibly lifelike orchid-shaped earrings. Exceptional creations epitomising Chopard’s peak mastery of expertise combining the excellence of ancestral jewellery skills with cutting-edge technologies. Floral creations more realistic than the original in its natural state. Such is the stunning brilliance of the divine latest models from the Chopard Haute Joaillerie ateliers. When the human hand thus exceeds the work of nature, one can safely state that it has achieved true excellence. 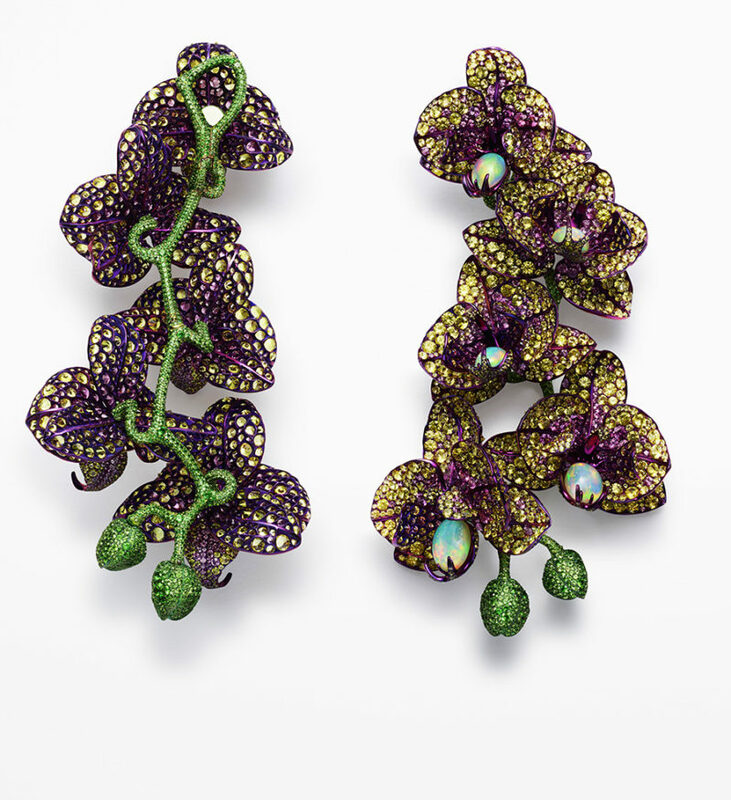 The Red Carpet Collections two new unprecedented pairs of earrings, a veritable collection of orchids distinguished by both technical and aesthetic perfection. 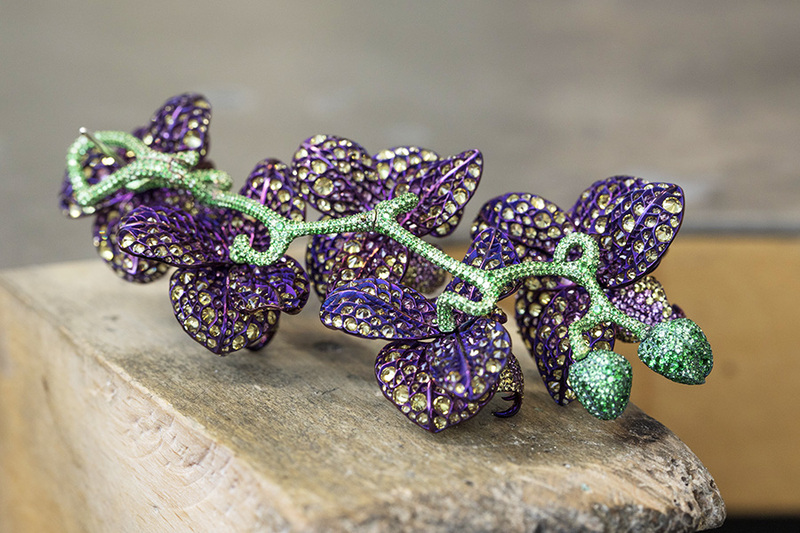 Stemming from over a year’s of craftsmanship calling upon all the professions exercised at Chopard, these masterpieces are the ultimate embodiment of the Maison’s jewellery expertise. 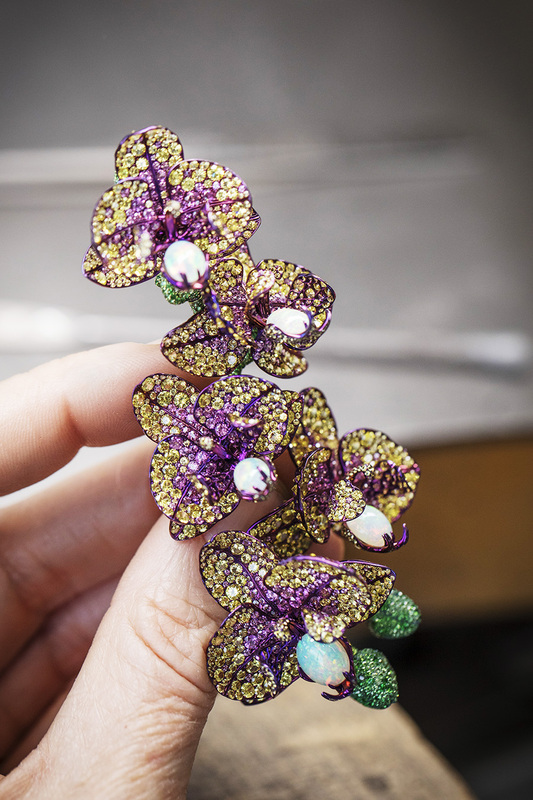 With these two new pairs of earrings, Caroline Scheufele has sprinkled the Chopard workshops with the most beautiful and precious orchid blooms. The gold stem and green buds showcase stunning gem setting virtuosity, with more than 4,800 tsavorites patiently set on this slender stalk just a few millimetres thick. 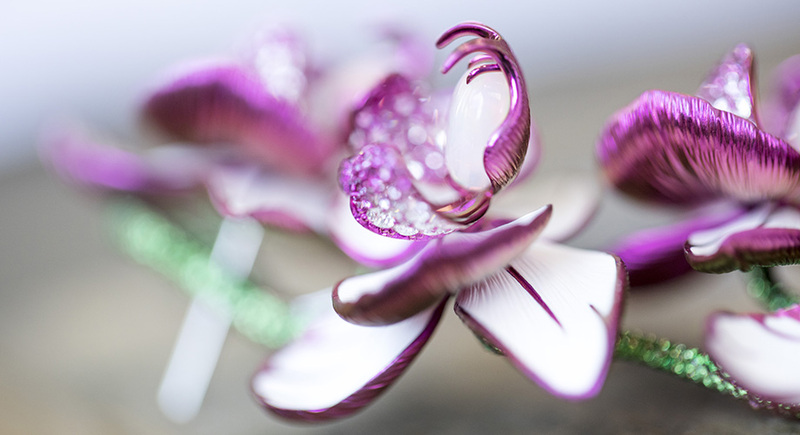 The lip (labellum) of these incredible orchids, whose natural beauty is said to imitate the back of female insects to attract males into the heart of the plant, is adorned with white opals, creating spectacular rosy shimmering light effects. 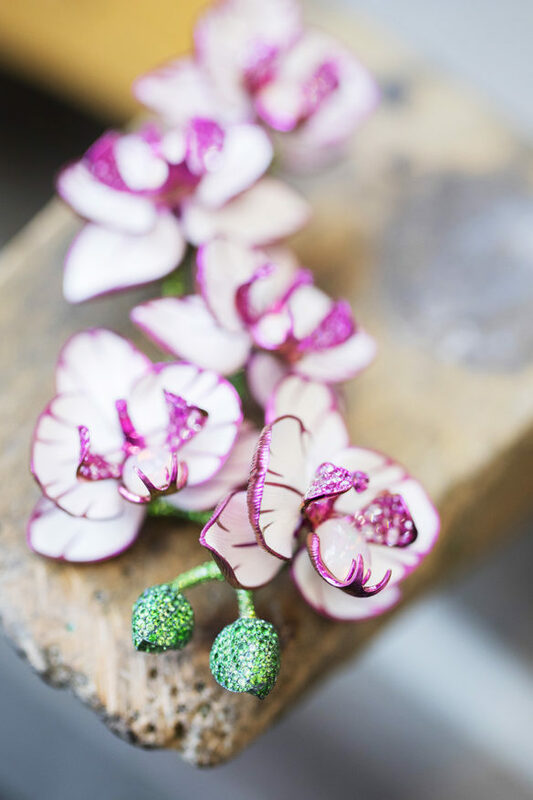 On the first white and pink version of these magnificent creations, the petals are set with pink sapphires surrounded by tinted titanium sepals coated with a fine layer of white ceramic. 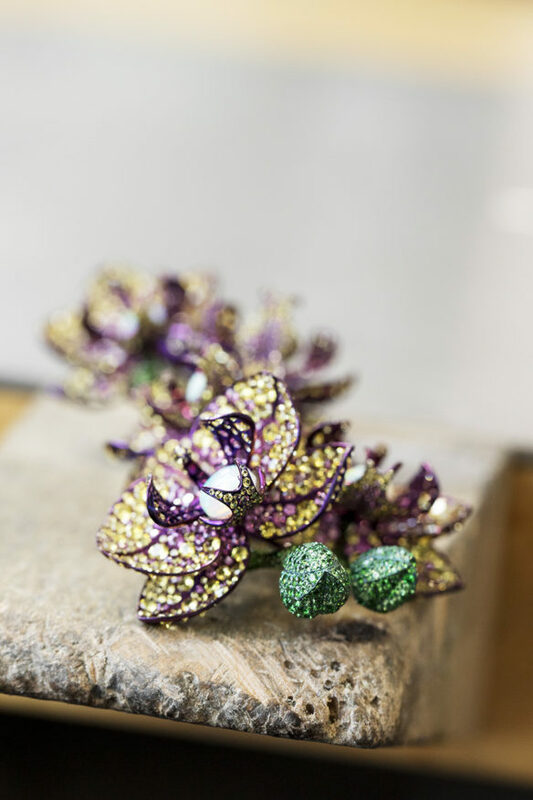 The second pair of these exceptional adornments is graced with blooming purple titanium flowers entirely set with yellow sapphires and garnets. This technical feat was achieved by combining the many jewellery skills that the Maison has been cultivating under one roof for several decades, with no less than 30 professions exercised in its Haute Joaillerie ateliers, alongside state-of-the-art technologies. 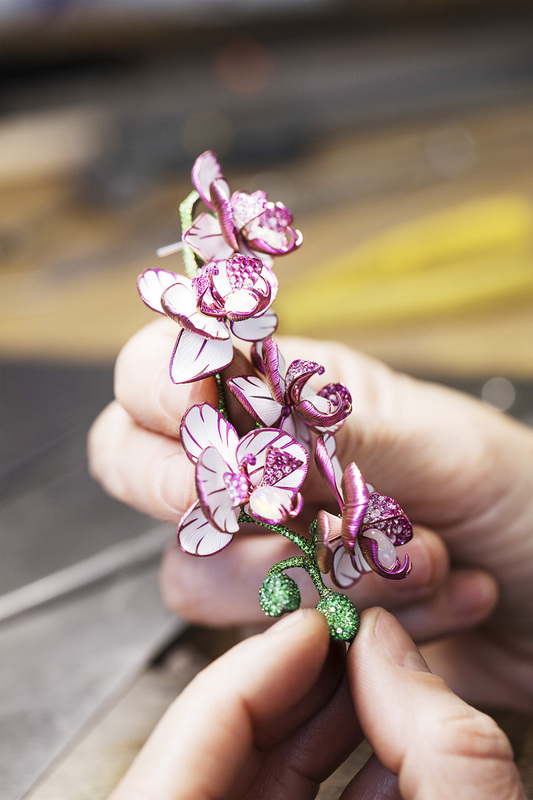 Witness the use of ceramic for the sepals, stemming from expertise developed in a variety of sectors including medical research and brilliantly transferred to the jewellery sector. The result is a perfect blend of finesse and fluidity. The lightness of these creations also owes much to the use of additive manufacturing fusion technology, which enables extremely accurate shapes, lightened materials and a level of geometrical complexity unattainable with traditional production methods. Drawing on these advanced processes, the various talents within the Maison have not only given rise to aesthetically appealing creations, but also fulfilled the dream of a model that is truly perfect in every respect.